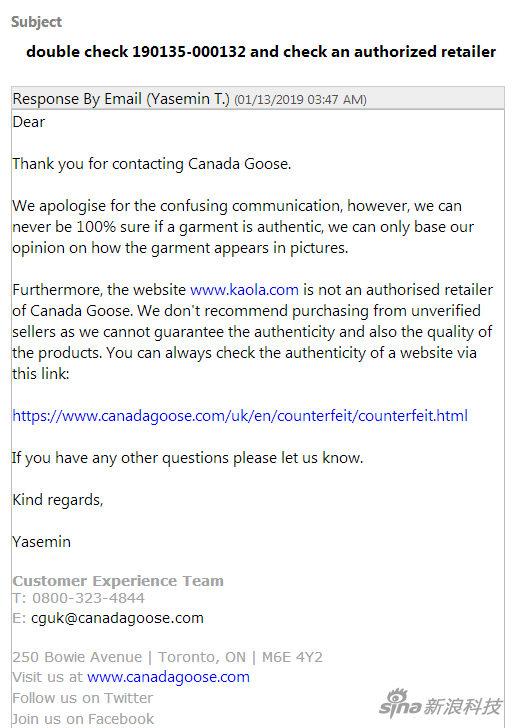 The user indicated that he was a Canadian goose down jacket bought on the koala during the double eleventh period. After seeing the relevant news, I sent an official email to the Canadian Goose for identification. The reply was fake. I went to the Sanlitun store to find that the clothes were different. The user said that the koala has been called once. The koala said that the clothes can not be returned, and the different clothes are different. 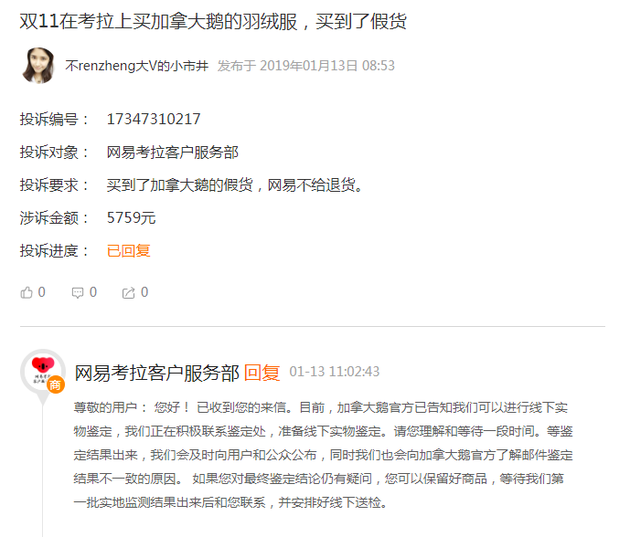 Netease koala replied in the black cat complaint platform that at present, the Canadian Goose official has told us that we can conduct offline physical identification. We are actively contacting the appraisal office to prepare for offline physical identification. Please understand and wait for a while. 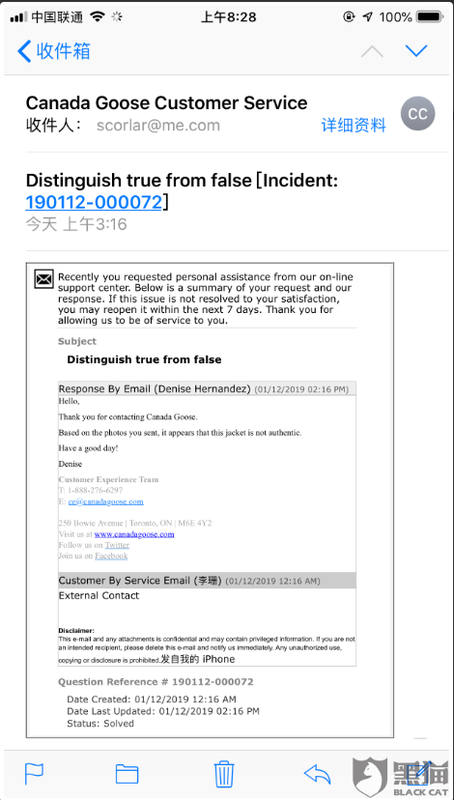 When the results of the identification come out, we will promptly announce to the users and the public, and we will also know the reasons for the inconsistency in the results of the identification of the mail to the Canadian Goose. If you still have doubts about the final conclusion, you can keep the goods and wait for our first batch of field monitoring results to contact you and arrange for offline inspection. In addition, Ms. Line continued to make additional complaints on the Black Cat Complaint Platform today, claiming that she had requested the replacement of the notary office by mail and provided notarized documents, but the koala did not respond positively to the matter. Ms. Line said she hopes the koala will respond positively to the issue and share the specific actions taken so far.